Roosevelt pediatric car seat with head support is a superior car seat that ensures the safety and comfort of the child with special health care needs. 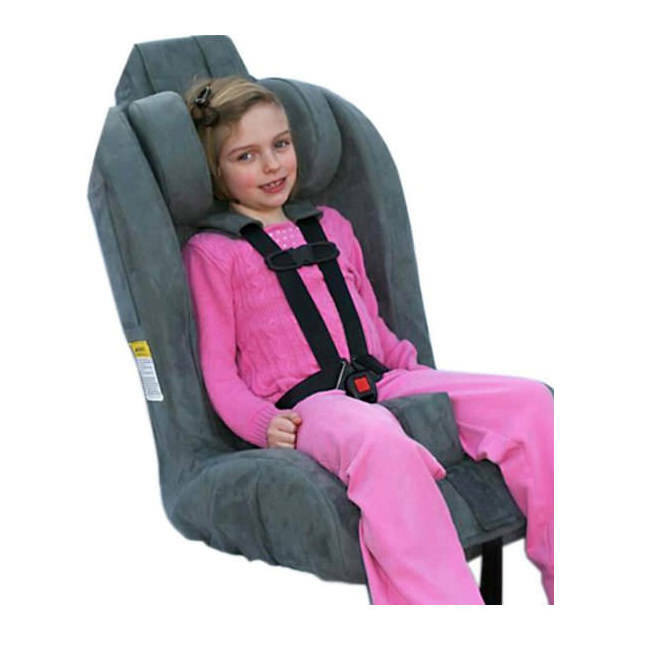 Roosevelt pediatric car seat comes with optional EZ-Up head rest system developed for children with poor head control, the EZ-Up System enables the child to maintain a natural head position. Roosevelt car seat has weight limit of 35 lbs. to 115 lbs. and height range: 33.5” - 62”. Padded seat extenders provide optimum seat depth for each leg and the height of seat from bottom to top is 30". 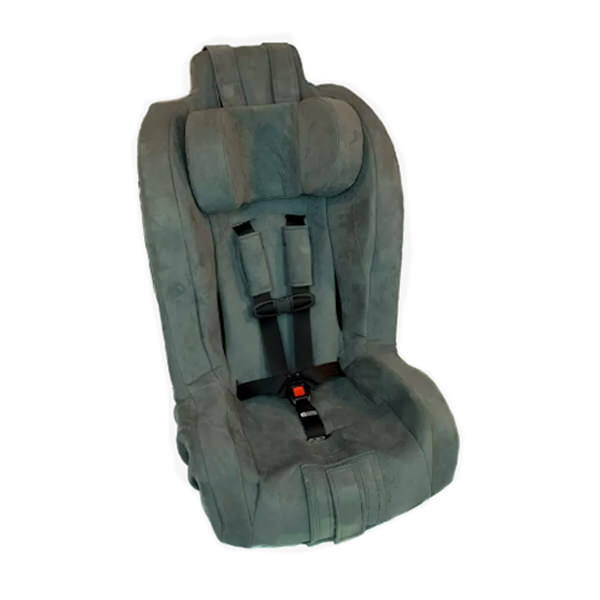 Roosevelt car seat has european style harness routing for abdominal comfort. A significant number of children, with neuromuscular conditions, exhibit poor neck control; resulting in the child’s head “falling” forward. This is a source of discomfort to many of these children. 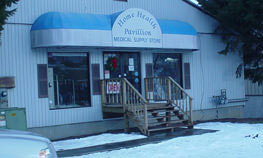 For years, their parents have inquired about solutions to this problem. Many have resorted to homemade, non-crash tested solutions in an effort to make their children more comfortable. 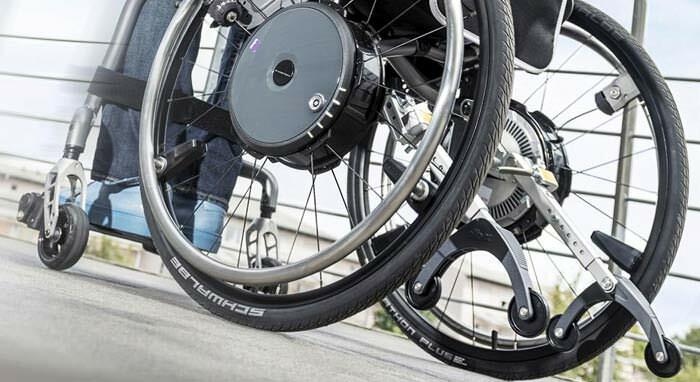 Roosevelt is the first large medical seat to address this issue with a crash-tested product that is particularly effective for children with low muscle tone. 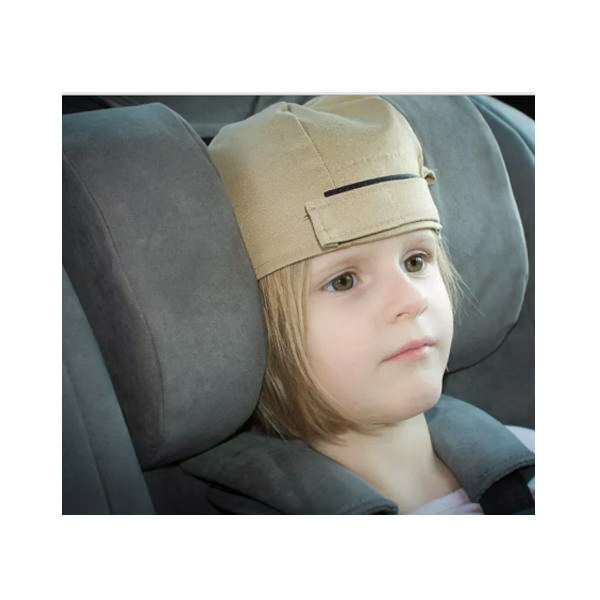 The “EZ-Up” head rest uses velcro to attach a cap (worn by the occupant) to the Roosevelt’s head rest. This system is designed to keep the occupant’s head in an upright position, without the need for significant recline. Weight of occupant 35 lbs. - 115 lbs. Height of occupant 33.5" - 62"
Height from seat bottom to seat top 30"
Shoulder strap heights 12.5"; 15"; 17.25"; 19.75"; 22.25"
Seat depth - Left leg 12.5", 15.5", 17"
Exterior shell width maximum 21.25"